Being a metropolis, Nagpur is one of the prominent cities in India and is popular amongst tourists for its large production of oranges. Hence, it is also sometimes referred to as the Orange City of India. However, the fact that it houses several natural marvels in the form of lakes, gardens and sanctuaries is still unknown to most of the tourists. So, why not get yourself to this metropolis with natural greenery and make your weekends memorable? You also get the opportunities of exploring ancient monuments in the form of forts and temples here. Located near Bhopal, it is a perfect weekend getaway. If you are looking for a journey to spend relaxing time with your family or friends, then a trip from Bhopal to Nagpur should be on your bucket list. Read on to know more about how to reach Nagpur and its tourist centres. Nagpur experiences a tropical savanna type of climate and hence, the summers are hot and humid here. However, due to the presence of lakes and several gardens, the overall temperature of the city remains bearable throughout the year. If you are looking to enjoy the best of Nagpur with the best of natural beauty, then the best time to visit is from September until the end of March. 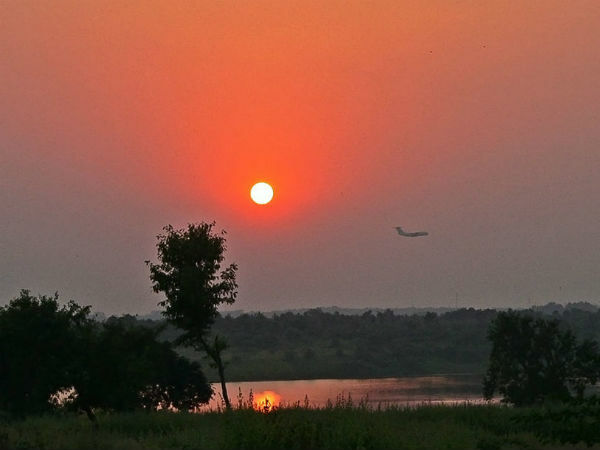 By Air: As Nagpur is well connected to other major cities of India by air, you can catch a flight from Bhopal airport to Nagpur directly. By Rail: There are several trains available between Nagpur and Bhopal. It will take you an approximate time of 6 h to reach your destination by rail. By Road: Located at an approximate distance of 350 km, Nagpur has a good network of roads. You must take route 1 if you are looking forward to reach your destination within minimum time and making your journey more exciting. Route 1 will take an average time of 7 h to reach Nagpur, i.e., 2 h lesser in comparison to the other route. On your way, you can also explore Hoshangabad and Betul. Hoshangabad is the first stopover while on your way to Nagpur and is a perfect place to feel the beauty of a riverside town. Located on the banks of Narmada river, Hoshangabad is popular for its beautiful ghats which help in magnifying the overall beauty of the town. The spectacular views of the sunrays reflecting over the sparkling waters of Narmada river should be captured on your camera. Other major places here include Sethani Ghat, Hushang Shah Fort, rock paintings of Adamgarh Hills and Salkanpur. Hoshangabad is located 70 km from Bhopal and 280 km from Nagpur. Another en route destination where you can get lost in the beauty of serene atmosphere while exploring the beautiful temples and other pristine sites, Betul is located 176 km from Bhopal and 175 km from Nagpur. It is popular amongst tourists for its natural surroundings and religious spots, such as Balajipuram Temple, Jain Temple at Muktagiri, the scenic Kukru Khamla and the divine spot of Multai. You must take a break if you always long for a wonderful sphere filled with composure and calmness. From sitting by the riversides to taking bath in the relaxing waterfalls, there is a lot to do in and around Betul. Nagpur is one of the most lively and cleanest cities in India and hence, you can find numerous spots to explore here. It is said to have been established during the early 18th century by the kings of Gond dynasty. However, it is believed to have been in existence since the advent of the Common Era and has been ruled by several other dynasties before Gond kings, such as Vakataka dynasty. Today, Nagpur stands strong as one of the major commercial centres in Maharashtra and boasts of its beautiful surroundings, which have been luring tourists from all over the country. Following are the major spots which you must explore while in Nagpur. Without exploring the forts of Nagpur, you will certainly be away from learning in detail about the history of the city. There are several ancient monuments here which reflect the glorious past of the city. These monuments include Nagardhan Fort, a 18th-century fort built by the Bhonsale dynasty, and Sitabuldi Fort, which was built during the early 19th century by a Nagpur king and is home to Indian Army now. Considering the number of temples it hosts, Nagpur can also be popularised as a temple town. Each and every locality in the city is dotted with several temples, which are visited by hundreds of devotees every week. From mosques to church and temples to Buddhist sites, there are tens of religious sites here. These sites include Deekshabhoomi, which is a significant pilgrimage site amongst Buddhist and is the largest hollow stupa in the world, Swaminarayan Temple, Tekdi Ganesh Mandir, Ramtek Fort Temple, Sai Baba Temple and Hazrat Baba Tajjuddin Dargah. Your trip to Nagpur is certainly incomplete without contemplating the beauty of its soothing lakes and beautiful gardens. Nagpur is patched with several parks and lakes, which include Ambazari Lake, Khindsi Lake, Futala Lake, Shukrawari Garden and Ambazari Park. Wouldn't you love to sit idle by these lakes and feel the beauty of a cool breeze mixing up with calmness, thereby, producing a tranquil atmosphere? Apart from all the above-given tourist spots, you can also visit Maharajbagh Zoo, Umred Karhandla Wildlife Sanctuary, Raman Science Centre, Toy Train Museum, High Land Park and Dragon Palace Buddhist Temple.